﻿ B&B Furano, Japan | FROM $58 - SAVE ON AGODA! "A good place to sleep." "Quiet and cosy, polite host and nice breakfast." "Lobby is lovely decorated and breakfast is also lovely (and..."
Ideal for fun and relaxation, B&B Furano is located in the Furano area of Furano / Biei. From here, guests can enjoy easy access to all that the lively city has to offer. For sightseeing options and local attractions, one need not look far as the hotel enjoys close proximity to Garden of Wind, Furanonishi Hospital, Furano Wine House. At B&B Furano, every effort is made to make guests feel comfortable. To do so, the hotel provides the best in services and amenities. While lodging at this wonderful property, guests can enjoy car park, family room. All guest accommodations feature thoughtful amenities to ensure an unparalleled sense of comfort. Besides, the hotel's host of recreational offerings ensures you have plenty to do during your stay. 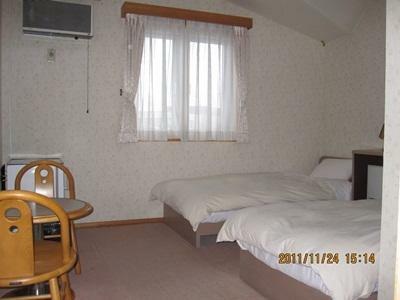 B&B Furano is your one-stop destination for quality hotel accommodations in Furano / Biei. "Great spot, location really good for access up to the gondol..."
Children under 6 years old will be charged additional. Extra fee will be charged directly at the property. 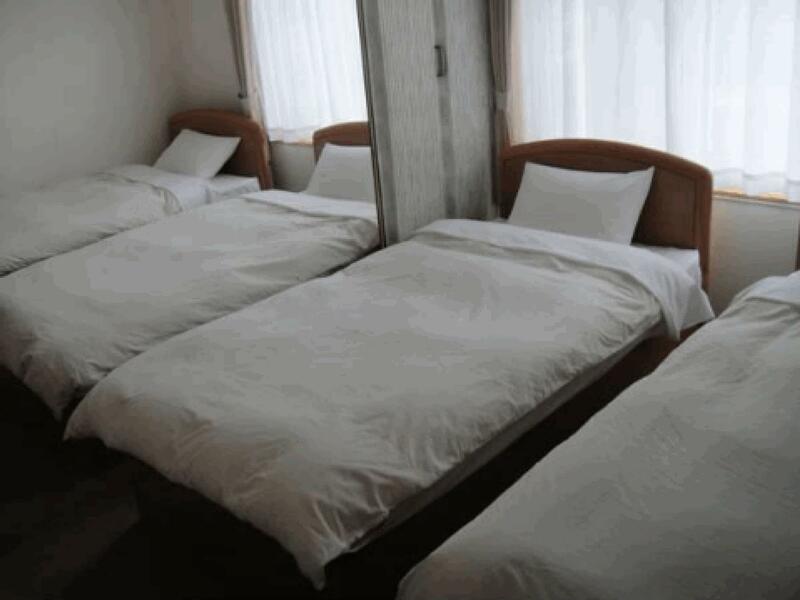 Extra bed is available upon request for certain room types. Please refer to the individual room descriptions for more information. When booking for 5 or more nights, different conditions may apply. Children under 6 years old are not allowed to stay in a twin room or triple room. It’s our ski trip, very please with the location, it’s closed to chair lifts within 5 mins walk. Love sitting next to fireplace in the lounge at the end of a ski day, make the accommodation feel very homey. We stayed at the family room with private bath. There were 6 of us (5 adults, 1 infant). Everybody had good sleep in 5 comfy single beds. The hotel is on the main area closes to the other businesses. There are some restaurants around but for dinner, it is pretty quite and not enough choices. If the room is included breakfast, you will be asked to choose the time you prefer breakfast to be served at the table and please don't be late. We chose 8:30 a.m. because we checked in later at night. The quality of breakfast is great. The hokkaido milk and famous Japanese melon were served as breakfast which made us very exciting. Overall, we were pretty impressed about what we got comparing to what we paid. 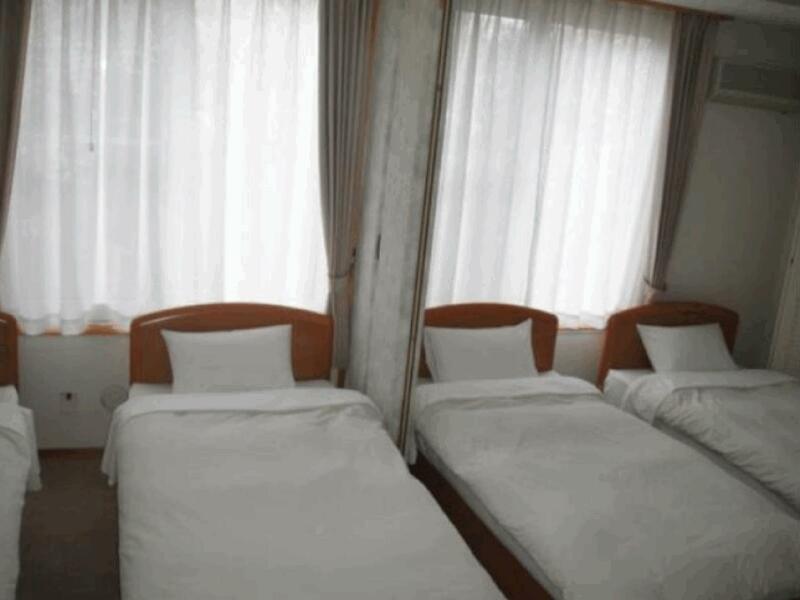 we got a twin sharing room, with private bath and toilet. most things are in the room, except the hair dryers were in the shared area, which is not too troublesome, just across the corridor for us. the showers are on level 2. it was an off peak season, most things are clean and tidy. breakfast was a set meal, not buffet, but we are happy with it, considering it was a more budget alternative. staff was friendly and helpful too. there were no charges for parking @ the 6 lots in front of b&b. Don't expect Buffett breakfast, it's just set breakfast but pretty sure it's home cook meals. Staff not able to converse well in English but we managed to communicate thru sign language. They are kind and good enough to help us with kids. There will be a additional charged for kids (yen 1050) if you don't stipulate it during your registers. Overall ok only. As we do not like share bathroom, so we book this room with private bathroom, a bit expensive for b&b price. but it is acceptable. the house is not near the station, it's better to drive for traveling. free parking. the staff is nice, introduced some nice food nearby when we check in. the house is clean, and well equipped. there are two massage chair at the common area. breakfast is okay. recommend to stay. Couple with 2children under 10. Come in summer time. Quiet and cosy, polite host and nice breakfast. Room enough for 4 single beds. Better drive if want to go site seeing. Close to ski location and the sunrise terrace. I love the breakfast here. They also served us a big piece of melon and Hokkaido fresh milk in addition to the standard menu. My room was facing the parking lot so I did not really like it. Apart from that, this place is quite a good stay. Very satisfied with B&B Furano--large clean room, good breakfast, nice helpful people (gave me a lift to the train station). If you are staying in the summer and not skiing it is a bit out of the way--very few restaurants around--but there was a bike rental shop nearby which suited my needs. Furano is lovely in summer. Room for 4 people was spacious with bathroom and toilet. Bed was comfortable. Staff (maybe owner, I'm not sure) was really helpful. Breakfast was excellent!! We stayed in low season so the hotel was very quiet. The restaurant at the opposite main street was very good (Sanjin). Highly recommended! The service, the room size, and food. I was very happy to have found this little B&B in the Furano resort area. We booked a four-person room and were impressed with the size of the place. The inn is run by an older gentleman who was very helpful and more than willing to provide tips for dining and recreation around Furano. The breakfast consisted of local vegetables, sausage and always a mini carafe of the locally produced milk. Great value. I wish I could have spent more time there to enjoy the summertime hiking and wintertime skiing in the area. Clean but room is small. Location is not easy to find. We want to store our luggages in hostel after 10am check out and will pick up at 4pm. However the female host rejected. 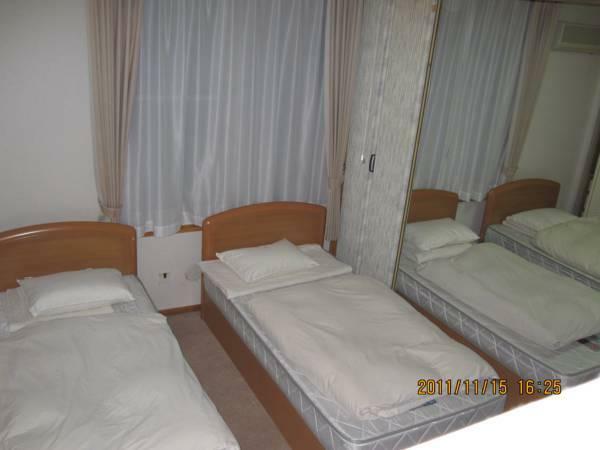 It is my first experience when I already travel around Japan and have more than 100 hostel and hotel in Japan. This is a family hotel, the breakfast very nice is homemade breakfast, the location of the hotel is quite near to the town. We go on the spring season, if winter season there is the great location, because the skiing sport just nearby the hotel. Owner makes us feel very welcomed and very helpful in recommendation of restaurants and provided directions to major tourists spots. There is a Common Living Area whereby we can watch TV, enjoy the massage chair or check emails. Owner gave us one of the best Melon for breakfast which was much better tasting than those I purchased outside. It would have been a pleasant stay if the staff/Owner there was a little bit more friendlier. We feel a bit uncomfortable with the owner there, he made us feel unwelcoming during our 2 days stay. I knew very little Japanese but you could always tell from his facial expression/body language during conversations. Love this place. It's clean and very well maintained. Room is spacious, toilet very clean and breakfast is fantastic. Free parking too. Good for travellers who drive. Allowed late check in and were offered sake. Friendly japanese speaking guy who served us simple but delicious breakfast.